In my last science based post (not counting the YouTube interludes), I broached the subject of stem cell therapy for retinal degenerative diseases. Scientific and technological advances have, over the past couple of decades, brought us to the brink of some viable stem cell therapies for a number of human ailments. The human trials for most of these treatments are, as of this writing, still extremely preliminary, but the rate of progress makes this form of therapy a distinct possibility within the lifetime of nearly everyone reading this blog today. Thus, it seems like an appropriate time to present some basic science background on the various types of stem cells that may play a role in researching a treatment for Usher syndrome. Please note that, although I acknowledge up front the considerable ethical controversy surrounding the use of stem cells, I am not endorsing a particular position in this controversy. This post is not intended to advocate or to discourage the use of stem cells, but merely to educate the reader as to the science behind them. Please also note that I have stated, up front, that stem cells will likely have an impact Usher syndrome treatments in the future. Currently, there is NO tested or approved stem cell treatment for Usher syndrome. I've heard horrifying stories of clinics in various countries offering 'stem cell cures' for a number of degenerative diseases, including Usher syndrome. To put it mildly, any clinic or individual propagating this information is dramatically overstating the effectiveness of his/her/their treatment, while dramatically minimizing the safety risks of such a procedure. So please, if you don't have the patience or interest to slog through the rest of this post, that's ok-I know I'm not everyone's cup of tea. But I implore you to at least take my strenuous caution about these clinics to heart. The science simply does not justify these claims. Figure 1: An overabundance of information can overwhelm even the most eager knowledge seekers. So, let's start with the basics, and if you have questions left unaddressed, please give me a shout-out in the comments. Give rise to another stem cell, in a process of self-renewal, thus creating another cell with the same ability to accomplish 1 and 2. There is a great deal of variation in these characteristics, as far as how many different types of tissue specific cells can originate from the same stem cell lineage, or how many times a stem cell lineage can renew itself before differentiating into something that is no longer a stem cell. There is a whole passel of scientific terminology dedicated to describing these variations in developmental potential which I will introduce as needed, but the bottom line is that when we're talking about stem cells, we're talking about a self-sustaining population of cells that can make other cell types in addition to more of their own kind. Figure 2: Mammalian embryonic development. 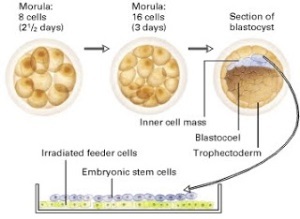 Prior to the blastocyst stage, the dividing ball of cells is called a 'morula', from the latin word for 'mulberry'. The blastocyst in this image is showing a cutaway view of the hollow ball containing the inner cell mass. The time points (2 .5 days, 3 days) refer to the days after fertilization of a human embryo. The blastocyst forms about 4 days after the sperm meets the egg. Fetal progenitor cells: Embryonic and fetal development is a time of accelerated growth and diversification of various tissues. Several populations of stem cells are present in the developing fetus that give rise to the varied, specialized tissues within our bodies. Previously, I introduced neural progenitor cells, which were transplanted into the Usher 2a mouse retinas to ameliorate retinal degeneration. Human fetal tissue is obtained from terminated pregnancies (either by miscarriage or elective abortion) at between 10 and 15 weeks of gestation. These stem cell lineages exist within already specialized tissues, and are specialized enough themselves that they can no longer give rise to any kind of cell, so they are no longer considered pluripotent, but are now termed multipotent to denote their ability to give rise to multiple, but more restricted, cell types: whereas the pluripotent ES cells can produce neural cells blood cells, bone cells, skin cells and so forth, the neural progenitor cells, as the name would imply, can produce only a variety of nerve cells. "Adult" Stem Cells: In stem cell lingo, 'adult' doesn't mean 18 years and over, but merely pertains to the populations of stem cells found in an organism that has completed the bulk of its development. In terms of human stem cell populations, the pluripotent and multipotent populations are temporary-once we've completed the basic construction of our body systems during embryonic and fetal development we don't need to keep producing such a wide variety of cells at such an accelerated rate. We do, however, need to keep supplementing certain cell types throughout our lives, and for that we require smaller, more specialized populations of stem cells. Think about the cells of the body that need periodic replacement-blood, skin, the lining of our gut, sperm-all of these are cyclically produced and made available to replace dead or worn-out cells as needed. Not surprisingly, these stem cell populations have been of great interest to researchers and clinicians for their potential clinical applications. One of the oldest stem-cell based practices involves transplanting bone marrow-which contains a reservoir of blood-making ("hematopoietic") stem cells-into people whose own hematopoietic stem cells have been compromised by disease or, in some cases, disease treatments. Other adult stem cell populations are not as accessible or compatible with this kind of direct tissue transfer, however. Researchers have been working for many years to cultivate adult stem cells in culture dishes in the lab (in similar fashion to the ES cells depicted in figure 2) with varying degrees of success. In general, cell culture is a tricky business-there is a narrow margin for error even with the most prolific cells, and adult stem cells in particular are often notoriously difficult to grow in culture. Years of exhaustive research have led to a greater understanding of what promotes particular cell lines to grow in culture, resulting in increasing success in cultivating these cell lines in the lab and opening up new experimental and therapeutic possibilities. A recent example of stem cell therapy to replace damaged tissue hints at the power of this technique when it works. However, the applications are still limited. There is not a one-to-one correlation between naturally occurring, regenerative adult stem cell populations and tissues that can be damaged through disease and injury, and there is still much to be learned about regulating the growth of available adult stem cell populations. That's one reason why the next category of cells is so exciting for the field. 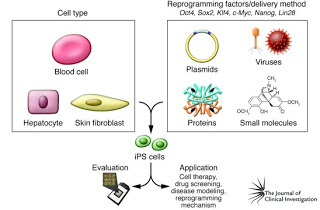 Induced Pluripotent Stem Cells: iPSCs have been perhaps the splashiest breakthrough in stem cell research in the past decade. iPSCs originate from differentiated adult body cells of some kind which are essentially reprogrammed to behave like stem cells. It's almost like the SciFi concept of a 'mind wipe', in which (for example) a skin cell is induced to forget its skin cell identity and become pleuripotent. Once it has been converted to this pleuripotent state, it can be further induced to differentiate into any kind of cell via the same developmental cues used to achieve differentiation in populations of ES cells. In addition to circumventing some of the ethical concerns involved in using embryonic or fetal cells, iPSCs also go a long way toward solving the biological problems of limited adult cell availability and growth potential. What are the risks involved with Stem Cell treatments? Hopefully, all of the above has impressed upon you how far the research has come in identifying the potentials of various stem cells and figuring out how to use them to improve human health. A few stem cell therapies are already in use, but many are still in the preclinical stage, and some that have entered the clinical trial stage have revealed risks which, while not altogether surprising, present yet another challenge to the widespread applications of stem cell therapies. As with any transplanted tissue, issues of compatibility between host and donor can pose risks and must be carefully monitored. Beyond this, a chief concern specific to stem cell-based treatments has to do with regulating cell behavior. Remember, some of the key features that make pleuripotent stem cells so desirable are that they can survive in culture, proliferate readily and turn in to any cell type with the appropriate growth and differentiation cues. In a laboratory dish (assuming the perfectly fine-tuned conditions for experimental success, of course), this is relatively straightforward and entirely under the control of the researchers. In contrast, the human body presents a far more complex environment, with a plethora of molecular signals hurtling around all over the place in the course normal physiological function. Introducing cultured stem cells into this milieu, therefore, carries a distinct risk of losing control of the regulatory mechanisms for these cells that have been so carefully controlled in the lab. Failure to regulate the proliferation, growth, migration, function or survival of transplanted stem cells can led to serious health problems, such as tumor formation. Clearly, a thorough understanding of how a particular stem cell line may be regulated, and how it might respond to the various molecular signals it encounters in the human body, is a crucial prerequisite to clinical trials. The differences in the origins of the stem cell types discussed above have generated an overwhelming amount of discussion on ethics and responsible research conduct. It is certainly worth noting that the research leading to the development of iPSCs might not have been pursued so vigorously in the absence of the restrictions placed on ES cell research in the past decade. Knowing that an alternative must be found has an undeniable potential to hasten progress. It is equally worth noting that the knowledge needed to reprogram an adult cell to induce it to become pluripotent would not have been possible without extensive study of the genetic regulation of naturally occurring pluripotent and multipotent cells, specifically of the factors that keep these populations in stem cell mode, and the factors that drive differentiation toward a specific cell type. As stem-cell based therapies for Usher syndrome and other degenerative diseases approach clinical readiness, families considering these treatments or participation in clinical trials will want to ensure that they are comfortable with the techniques and materials used to develop them. Part of this consideration, however, should include the realization that science and medicine are confluent fields. Innovative information and techniques obtained from one system are routinely applied to others, such that, with a sufficiently broad perspective, it becomes very difficult to delineate boundaries between what might be considered ethically permissible or prohibitive. 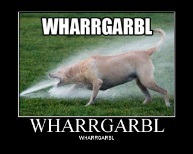 As usual, valid scientific information is your friend here. Do your own research, don't shy away from asking questions, and make the most informed decision possible. Hopefully it won't be long before at least a few therapy options are ready for your consideration.